The USS Midway Museum with the San Diego skyline in the background. 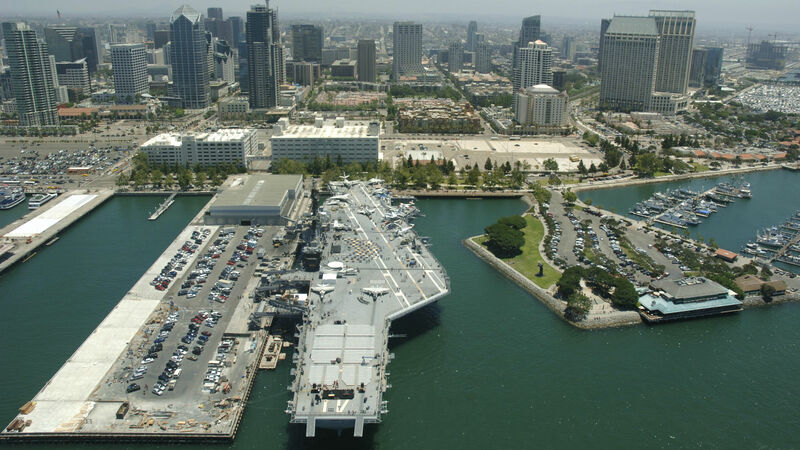 The USS Midway Foundation Thursday announced $450,000 in grants to 25 nonprofits that assist military families, veterans and law enforcement in the San Diego area. The grants from the foundation associated with the USS Midway Aircraft Carrier Museum range in size from $5,000 to $35,000 and will support a wide array of projects and programs, ranging from making emergency financial assistance available to military families in crisis to advanced manufacturing training for service members transitioning to civilian life and purchasing body armor for police officers. “Freedom isn’t free, and the Midway Foundation is here to help ensure that those who protect our liberties receive the support they need,” said Malin Burnham, who chairs the foundation’s board of directors. The nonprofits receiving grants include the Armed Forces YMCA at Camp Pendleton and San Diego, the San Diego Police Foundation, USO San Diego, Veterans Village of San Diego, the SEAL Family Foundation, the San Diego Veterans Day Parade and Marine Corps Recruit Depot Museum Foundation. She said the funding will help with such home repairs. The USS Midway Foundation handed out $250,000 last year, and hopes to eventually raise its total giving to $1 million annually.